Yes. Director Shankar is planning a 3D version of the magnum opus ‘Enthiran’ to pre-empt any piracy attempt. 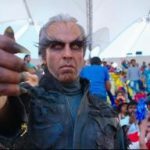 After the unpleasant episode in ‘Jaggubhai’, where the full length film was leaked on the internet even before it came out of the processing lab, Shankar is trying each and every way to plug the holes. Today all major films are happening under strict vigilance by competent persons. Mani Ratnam has appointed managers at each point where the works for ‘Raavan’ is happening. 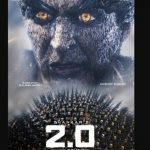 So in a no holds barred attempt to make the audience watch ‘Enthiran’ only at theaters, Shankar is even contemplating to convert a part of ‘Enthiran’ film into a 3D version. He has already started consultations to this effect with the experts on the economics of converting the film into a 3D film. 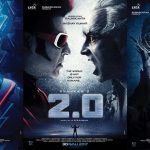 The demo version of ‘Enthiran’ in 3D was shown to Shankar by an effects company and he is awfully impressed with the result. 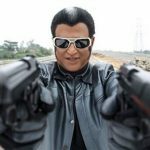 So the chances to see ‘Enthiran’ wearing the 3D spectacles are great. robo best filem.shangar sir i like u filem!!!!!! we r wating for the magic………..